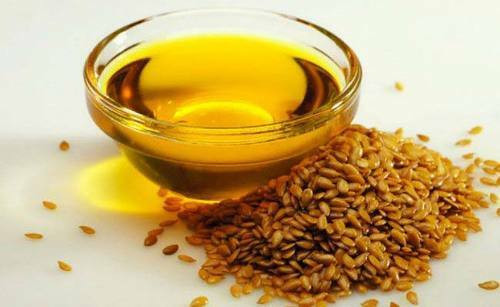 Sesame Oil Substitute – What to use ? In need of a sesame oil substitute? It never fails. You find a new recipe that sounds exciting and you’ve got to try it out. You start pulling out all the ingredients you’ll need and then suddenly, it comes down to just one missing ingredient. Maybe the store is already closed, or the weather is unpleasant and you don’t feel like running to the store for one thing, but whatever the case is, you’re in desperate need of a substitute right away. So what do you do when you need to replace sesame oil in a recipe? Whether it’s because you don’t have it, don’t like it or perhaps have an allergy to it, there are some options to consider for a suitable sesame oil substitute. Sesame oil imparts a bit of a nutty flavor to foods. It’s generally used in Asian cooking as a finishing agent, though head into mainland China and you’ll see it glazing woks for some of the dishes (though peanut oil is the main oil used in those cases). As long as you don’t have nut allergies to contend with, peanut oil can make for fine a substitution to sesame oil in recipes. However, when it’s used as a finishing touch in a recipe of ethnic origins, if you truly can’t wait to make your dish until you come into some true sesame oil, then you can get around this in a couple ways. You can use whatever light oil you have and garnish with toasted sesame seeds. Or you can try out perilla oil which is made from the toasted perilla seed. It’s common in Korean cooking and is a good alternative should there not be sesame oil available at your store. Toasted sesame oil is made from you guessed it toasted sesame seeds. The oil has a much darker appearance and a stronger much nuttier flavor. It can be stored for longer periods versus the normal oil. You can also find cold-presses sesame oil that is pressed at room temperature. It is generally more expensive and harder to find. It has a much lighter flavor than the normal or toasted sesame oil. Whatever your reasons for omitting sesame oil from a recipe, just remember that even if you swap it out for olive oil, which is more commonly found in every American’s home, you’ll still wind up with a dish that tastes great. It just won’t have that final Asian finesse to it. But if the taste of sesame oil bothers you, then this is a good thing. As you’ll be replacing it with oil, keep it in the same measurements the original recipe calls for and you should have no problem crafting your culinary masterpiece even with this substitution.